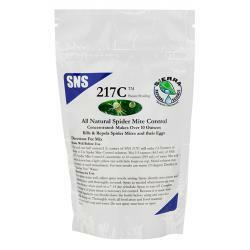 SNS-217TM Spider Mite Control is made up of 100% pure rosemary botanical extract. The botanicals are all food grade GRAS (generally recognized as safe) materials. SNS-217 Spider Mite Control is exempt from EPA registration under minimum risk pesticides exempted under FIFRA section 25(b). Spider mites destroy plant cells by sucking out their contents. 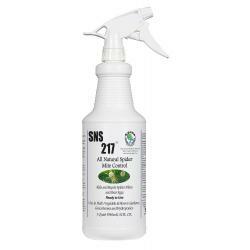 SNS-217's unique formula works by providing a barrier which is harmless to the plant, but fatal to the mites. The natural salts from fatty acids derived from rosemary extracts disrupt the insect cell structure and permeability of its membranes. Cell contents then leak from damaged cells and the spider mites quickly die. 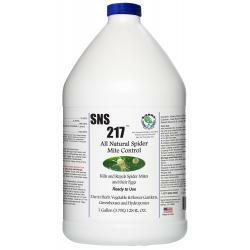 Some of the components of SNS-217 are also absorbed by the plant and then suppress the life cycle of the mites. 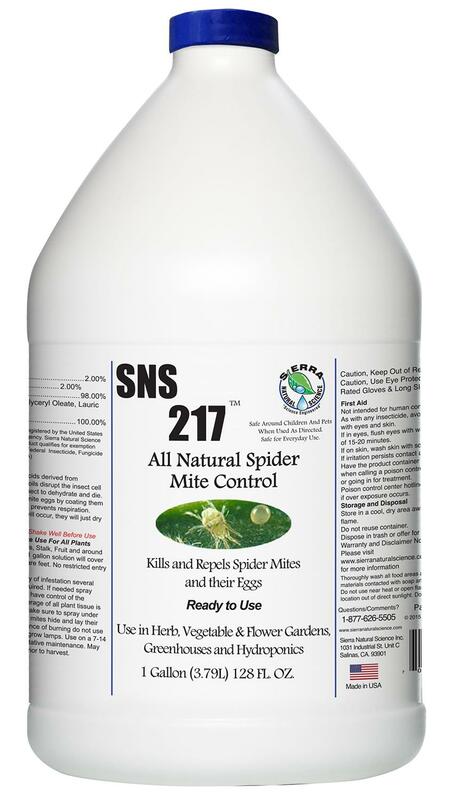 SNS-217 Spider Mite Control kills the spider mite eggs as well by coating the eggs with a oily shield that disrupts the respiration to the egg; therefore no hatching will occur -- they just dry out. This product has been tested in Sierra Natural Science's laboratory on delicate new growth, clones, tomatoes, roses, and other plants. 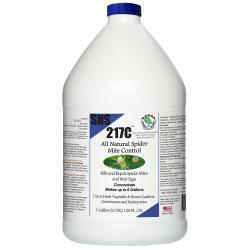 SNS-217 Spider Mite Control may be used on a wide variety of plants, vegetables, and even trees. 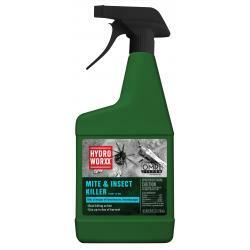 When applying the product, take caution not to spray any buds on the plant. 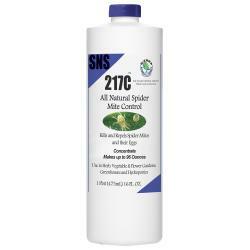 SNS-217 Spider Mite Control can be sprayed on fruits, vegetables, and plants such as apples, apricots, beets, broccoli, cabbage, carrots, cauliflower, celery, cherries, chives, corn, cucumbers, peppers, tomatoes, parsley, fuchsia, roses, and many flowers. SNS-217 is fully bio-degradable and is not toxic to animals and under directed normal use, should not affect the plant's metabolism. Not for sale in the following location(s): AR, DE, GA, IA, IN, KS, LA, MS, ND, NH, NM, OK, SC, SD, UT, WV, WY.